Apple Music has decided to reverse its payment policy, less than 24 hours after Taylor Swift said she was refusing to allow the company to stream her album 1989. In an open letter to Apple, Taylor Swift, 25, said she was withholding the record as she was unhappy with the three-month free trial offered to subscribers. Now Apple Music says it will pay artists for music streamed during trial periods. “Apple will always make sure that artist are paid,” he added. Eddy Cue’s response may have headed off what could have been a bruising battle for Apple during a crucial period in which Apple Music is attempting to compete with streaming services like Spotify, which knows all too well what it’s like to be on the receiving end of Taylor Swift’s ire. 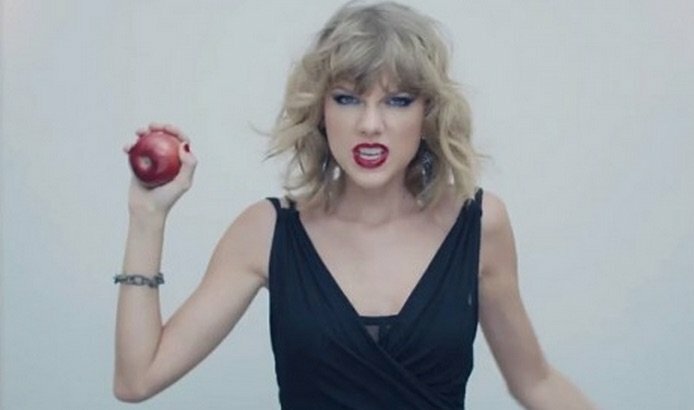 Taylor Swift had said the plan was “unfair”, arguing Apple had the money to cover the cost. “I find it to be shocking, disappointing, and completely unlike this historically progressive and generous company,” the singer said, describing Apple as one of her “best partners in selling music”. Apple Music launches on June 30. It will cost $9.99 per month in the US for one person or $14.99 for families. It is not the first time Taylor Swift has spoken out against streaming music – she pulled her entire catalogue from Spotify last November and had refused to offer 1989 on streaming services, saying the business had “shrunk the numbers of paid album sales drastically”. 1989 went on to become one of the biggest-selling albums of 2014 and has sold more than 4.9 million copies in the US alone.